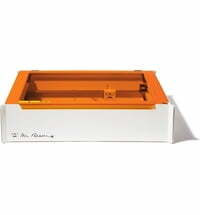 When cutting and engraving with the Mr Beam II smoke is generated. With a suitable air filter system, your room air is always kept clean and without odours or smoke. 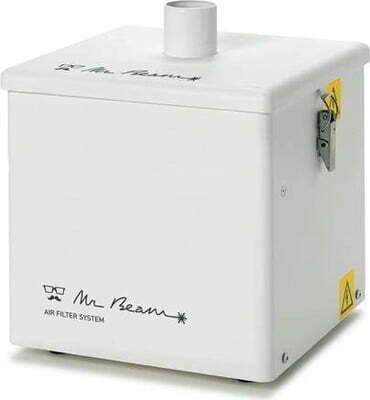 Although the Mr Beam II can be used indoors without an air filter system, the hose must pass through an open window. The air filter system keeps the air odourless and clean. The air filter system is equipped with a combined HEPA / activated charcoal filter that perfectly cleans the exhaust air. Particles and odours generated during the laser application are completely filtered out of the exhaust air. 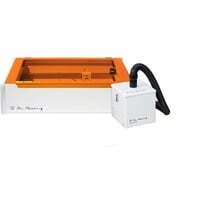 Each Mr Beam II laser cutter comes with a hose that can easily be plugged into the Mr Beam air filtration system. Since the opening fits perfectly, no screwing or complex installation is required.